Crete! If you ask me, the best four days of our time in Greece. Looking back through these pictures, I found myself thinking, "What took us so long to get to Greece?!" I mean, obvious reasons of course, like MONEY, distance, etc., but man, once we got to Crete, we never wanted to leave. We ate good and cheap (usually just two meals a day because there was always so much food when we did eat!) and went to the beach every day, and really, need I say more? Of course, I will, I always do. But I could stop there - some of the things we saw, some of the photos - they really are better than words. 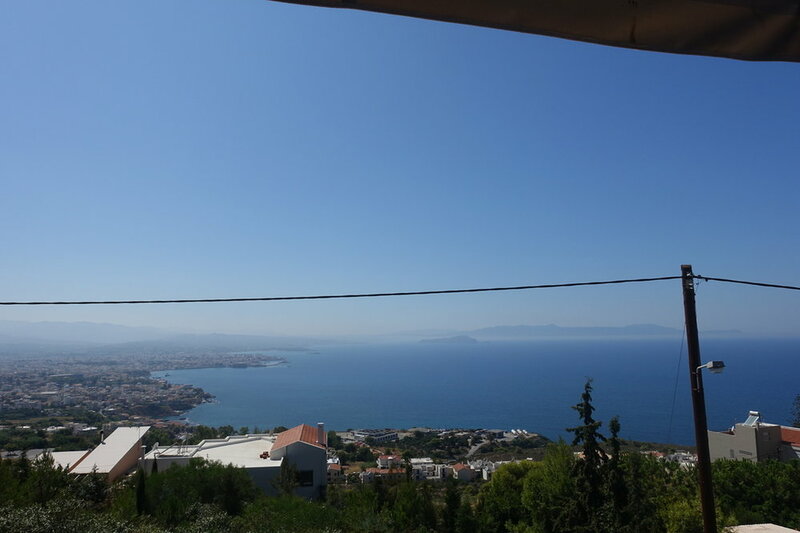 For those that might care about the nitty-gritty details, we flew into Chania from Athens on a Wednesday afternoon, picked up our rental car, and drove into town for lunch before anything else. We ate at Kalderimi, and liked it so much we went back again a few days later - both times we ate outside on the (pedestrianized) street and every dish we tried was really tasty, plus they have loads of vegetarian options. 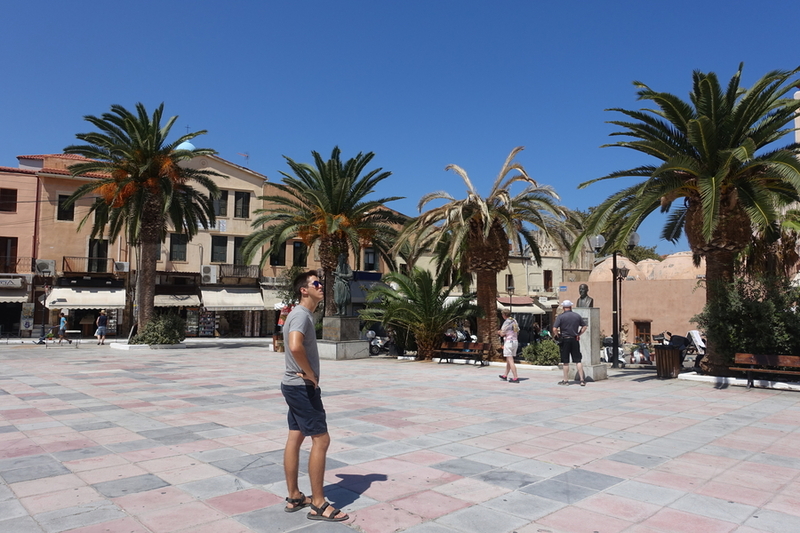 We didn't do much on our first day on the island - we ate lunch, wandered along a main tourist thoroughfare in Chania, checked into our hotel (we stayed at Revekka Rooms in Kissamos, a quiet town on the coast about 30 minutes by car from Chania), and surprise!, ate dinner. We ate at Maracaibo Restaurant, which was about ten minutes from our hotel...and our first of three visits to the restaurant. The service was great and the food even better, and well, when you're on vacation, sometimes you just want to make easy decisions, and you don't always want to take a gamble on whether or not the food will be good somewhere. D - Maracaibo is one of those incredible restaurants that we go to and tell each other how we need to leave a glowing review on TripAdvisor (unfortunately we never do, but that's not a reflection on the restaurant so much as it is on our lack of follow-through with such things). It was seriously so good every time we ate there, featuring Greek homestyle cooking and (the best part) free dessert! I guess free dessert is actually pretty common in Greece based on some of our other dining experiences on the trip. If I had known that I would have made an effort to visit Greece much sooner! 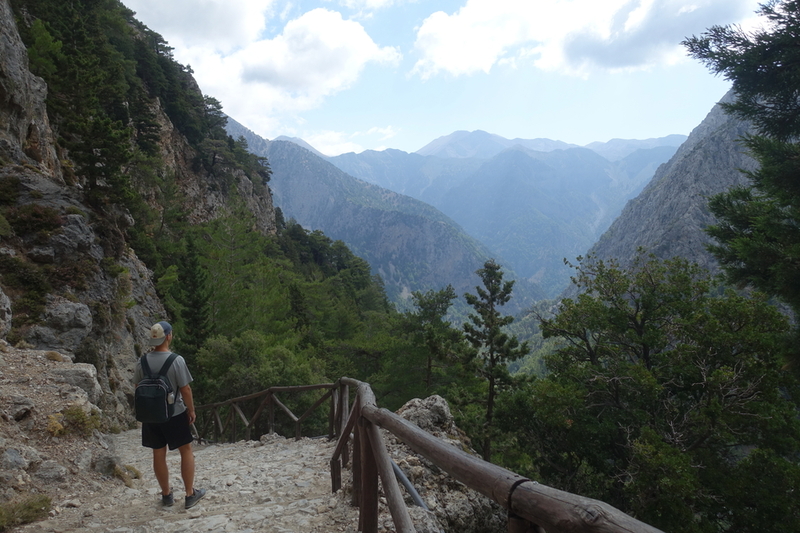 When we checked in to our hotel, the friendly lady at the front desk asked us about our plans while on Crete and I mentioned a few, one of which was hiking Samaria Gorge, preferably the next morning. 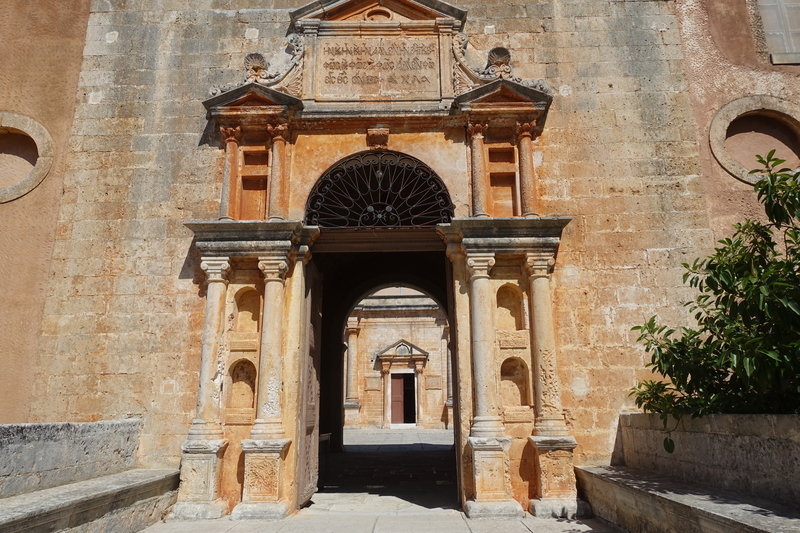 Without going into too much detail, she tried to discourage us, telling us that most people just couldn't do it, and if they did, they usually went with a tour company. Well, I believed in us, as well as my plan to do it by driving to the trailhead, hiking to the end of the trail, and getting the ferry and the bus back to our car. We'd have to make good time in order to make a certain ferry and bus (and not have to stay overnight on the trail! ), but like I said, I had faith we could do it - 16km/9.9miles isn't that bad! ...but as we got walking, we hardly encountered anyone else for quite a while. Down, down, down we went into the gorge. And realized why no one ever does a round trip route of Samaria Gorge! As we got on to the part of the trail that's flatter, we encountered many more hikers, so many that we felt like we were in a constant state of passing/being passed. The trail really is beautiful, more so at some points than others - I preferred the parts with fewer people I think, but if it was just us the whole time, I probably would have liked the narrowest parts of the gorge best. 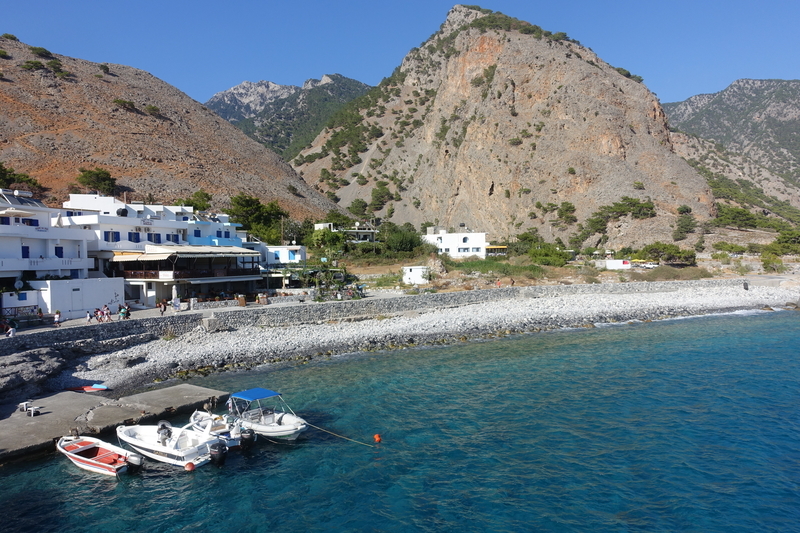 Finally, about four hours after we began, we reached the end, and the town of Agia Roumeli. We stopped for lunch at Rousios, a place clearly popular with hikers like ourselves, before taking a short walk around the town - there's not a whole lot to see, but the water of the Libyan Sea sure was beautiful, and although the beach was pretty rocky, it was black and sandy in some other parts. We weren't quite ready to leave the beach when it came time to grab a seat on the ferry, but we didn't want to miss it, and the views from the ferry, the bus, and our car weren't so shabby either. D - I was a little nervous I would get bored on such a long hike but I'm so happy that we did it! It was gorgeous through and through and although I can be a bit reticent about going on walks and hikes sometimes, they're such a fantastic way to spend quality time with people. Our grand finale after a day of hiking was a stop by Nanou Donuts, a place I'd read about online that claimed to have "the original Greek donuts." Well, Danny loves donuts, and I love sweets/carbs/sweets carbs, and it was shaping up to be a late night, so we grabbed a few that looked good and since there's no seating at the shop, took them to go. We were a bit surprised when the worker told us to "let them defrost for about 20 minutes before you eat them" but we'd already bought them, so we went with it. Turns out the main Nanou store is in Athens, and the donuts are flown in (fresh but frozen) each day from headquarters. So yeah, they were good, but a little bit chilly, even after we'd driven 30 minutes back to the hotel. D - Donuts: my kryptonite, my undoing, my one true love. Every morning on Crete, we enjoyed breakfast by the sea. Our hotel partnered with a restaurant that we never ate at (aside from breakfast, obviously) where we got to eat seaside, inside a clear plastic wall (if it was breezy), or even inside the restaurant if we really wanted. Instead of sharing the photos of breakfast every day, here they are all at once, even though we did eat every day (except the last day - our ferry to Santorini left early and we had a ways to drive to get to it). A note about our hotel, Revekka Rooms - I really recommend it! The room was simple but clean and had a patio that was useful for drying swimsuits and towels. Besides, we really weren't there too much. Kissamos was a good location for getting to beaches on the west side of the island, which was where we mostly focused our attention (Crete is huge and impossible to see in just four and a half days! 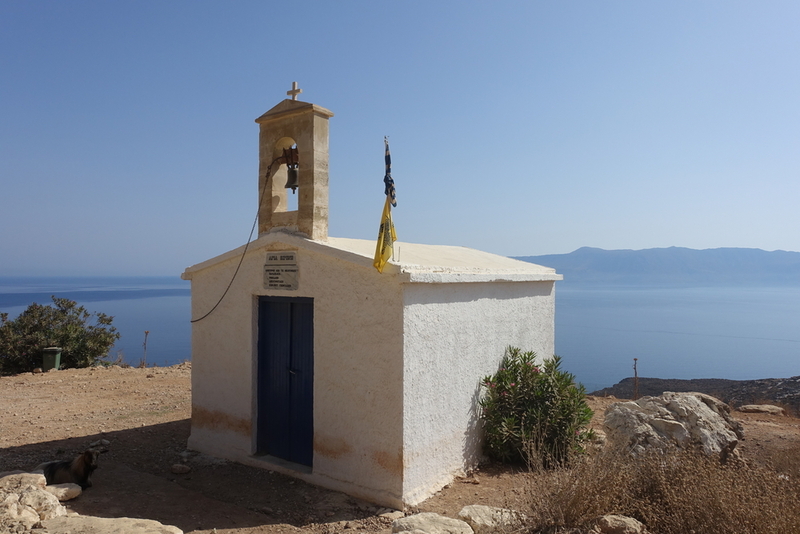 ), although I think that in retrospect we probably didn't save much time staying in Kissamos vs. Chania, which was my idea originally. The breakfast was a big bonus for us, and on a vacation like this one, was really nice to have each morning. 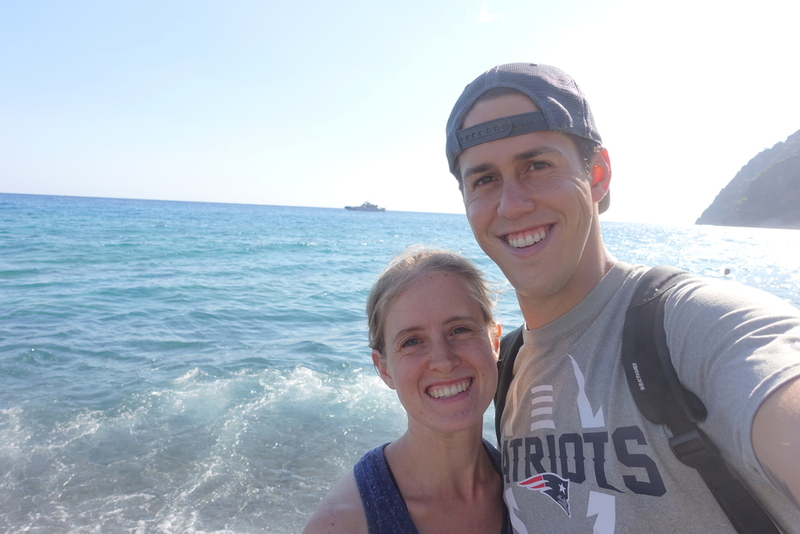 We began our second full day on Crete at Elafonissi Beach. Elafonissi Beach is famous for its pink sand, and maybe it's just us, but we couldn't really see it. I've read that tourists, through taking little bits home with them as a souvenir, have depleted the pink sand so much so that there's really nothing left, however, a brief read through TripAdvisor would make you think nothing's amiss (same for Pamukkale, though, and you know what I think about that). Even if there wasn't any pink sand and the wind was a force to be reckoned with (I included a nice candid Danny got of me battling to keep hold of my hat, etc. below), we still felt the trip was well worth it. This was the first breathtaking beach we experienced in Greece, and although I'm always slow to get in the water (nothing's ever warm enough for me! ), once I get in, I can't be convinced to come out. D - In the age of Instagram filters, you can never really know the true color of a body of water by looking at someone's picture. Before getting to Greece, I wondered if the water at Greek beaches would look like the photos I had seen or if I would be disappointed. 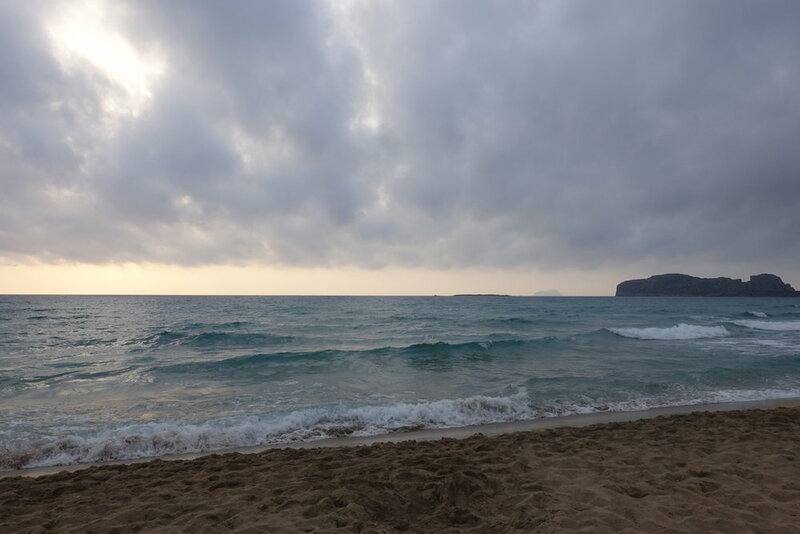 When we arrived Elafonissi, all I could think was, "it looks like Instagram!" This would be a recurring theme on our trip, for which I am so thankful! We drove a little bit east of Elafonissi to Kedrodasos Beach. We weren't sure if we'd swim or not at our second stop of the day since it meant we'd have to put on more sunscreen and wait in the shade for a while for it to soak in (after listening to this podcast on sunburns, tans, and sunscreen while in Turkey, we decided to get really serious about protecting ourselves from the sun hence the whole long procedure for being out in the sun). Anyways, Kedrodasos has some rocks, but also lots of soft sand, and, best of all, the winds that we had just experienced at Elafonissi don't really seem to blow there, at least not to the same extent. There were also far fewer people, so in hindsight I would have stopped by Elafonissi for the views, and then gone to Kedrodasos to swim for the majority of the day. In the end, we decided to swim, and I think Kedrodasos was one of my favorite stops on Crete. 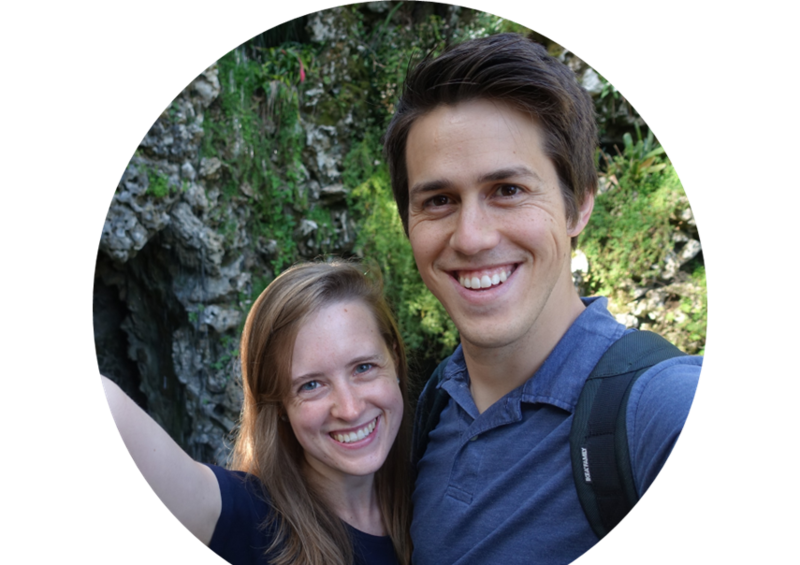 I look at the picture of the two of us, and even though it has a raft floating kind of distractingly in the background, as soon as I saw it, I thought, "Wow, I look so relaxed and happy!" And I think it's true. 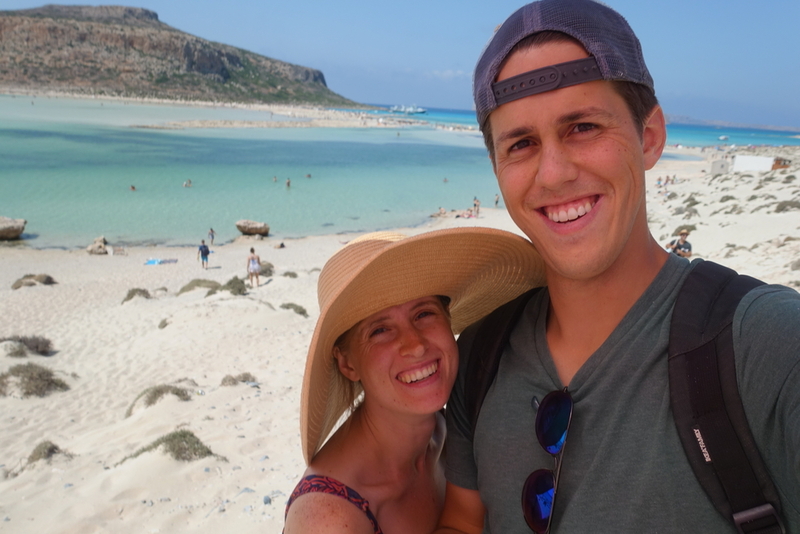 Crete was really the best portion of our trip - we were really able to let go a bit, do what we wanted to, eat really well - it was amazing. D - Agree, agree, agree! Probably the best string of four days of my entire life. The west side of the island is supposed to be the best for watching the sunset, so we tried to make it a priority on this particular day to watch the sun set as we made our way back from the beaches to the Kissamos area. As we drove the near-deserted roads, we found a place to pull over (with a few wild goats!) and welcome the night. Afterwards, we decided to make an easy decision for dinner and head back to Maracaibo Restaurant for the second time. Their menu changes daily, so we usually ordered every vegetarian choice they had, especially if it was a day like this one where we'd loaded up on our hotel's Greek breakfast, and then waited to eat again till dinner. 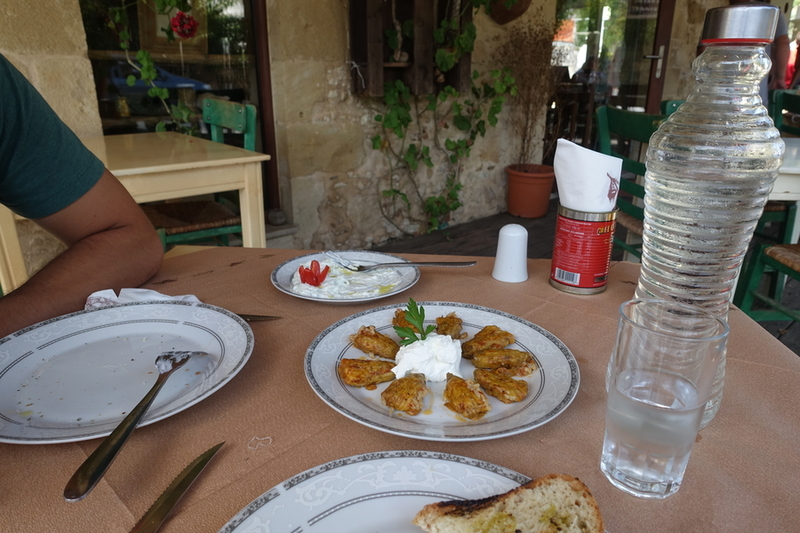 Our third full day on Crete kicked off (after a hearty Greek breakfast, of course) back in Chania. We parked the car and got walking along the 14th-century harbor, where you can park your yacht, buy a kitschy souvenir, or eat along the water. Walk further into the shady, narrow streets, though, to escape the sun and find more authentic shops and grub - we ate at Kalderimi again because of our positive experience on our first day, and if you haven't caught on to the theme yet - the fewer decisions on vacation, the better. And also, when you find a good thing that works, why mess with it? 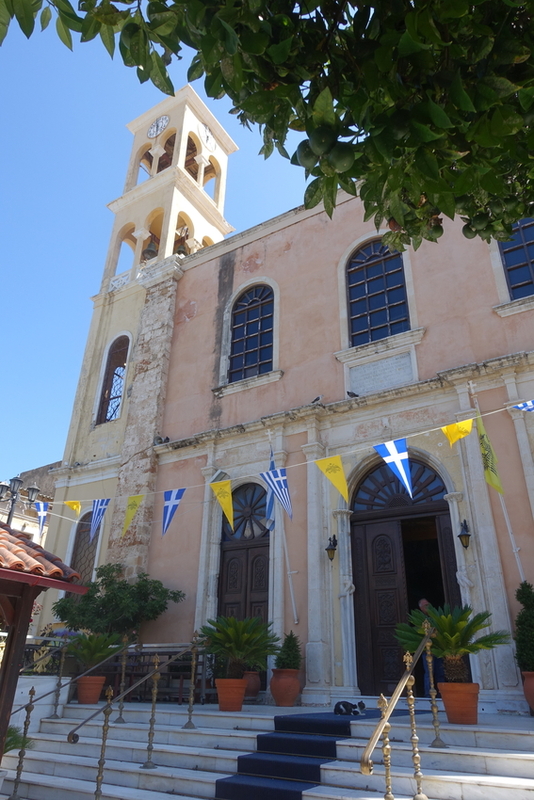 We made a quick stop by Holy Trinity/Agia Triada Monastery (but didn't go in as we didn't realize it had an admission fee) and continued to Marathi Beach. Marathi is only 17km/10.5 miles from Chania, and is kind of a two-for-one deal. There are two stretches of sand, separated by a slightly raised road (where we nervously parked parallel to the sea), but we didn't notice much of a difference between the two and chose where we swam based on where there was more space to spread out our stuff. This wasn't our favorite beach, but there wasn't anything wrong with it either, and we did have fun watching some paddleboarders do their thing in the calm waters. D - This beach was a big milestone for me. It was the first time that I've ever gone deep enough in the open sea to not be able to touch the sea floor. This is because, as I know I've mentioned before, I'm a bit afraid of the open waters and the beasts that lurk within their depths. I wouldn't be quite as afraid if someone swam out with me (because then they might get attacked first giving me a chance to swim away and escape) but Shannon usually thinks the water is a bit too cold or something. Anyway, it was a big step in the right direction for me even if I was constantly whipping around in the water to look behind me to make sure I wasn't about to get attacked by a shark. I didn't see anything over five inches long but you never know. I was startled (and may have let out a little yelp) when I first felt a fish nibble on my foot, but then once I realized what was happening I just stayed still and let it happen and several of his friends came to join. People pay for this treatment at spas so you can bet I wasn't gonna pass up that opportunity. 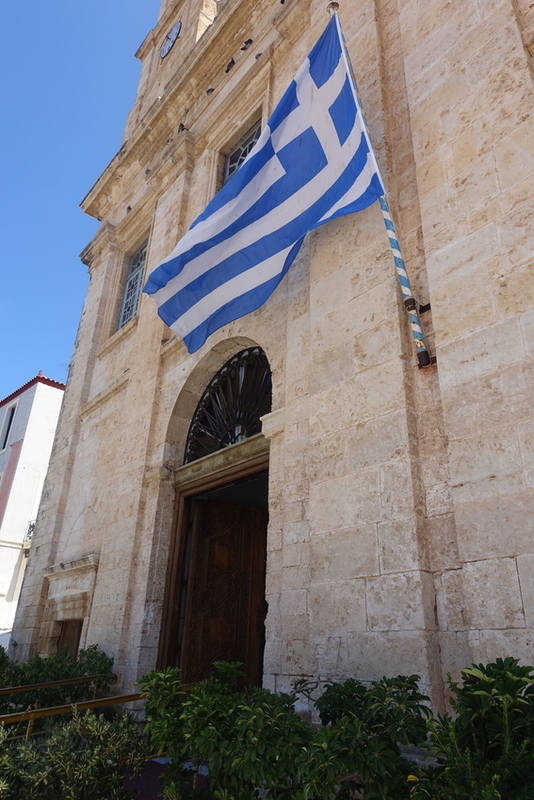 Our last stop of the day was in Rethymno, a town about an hour east by car from Chania. 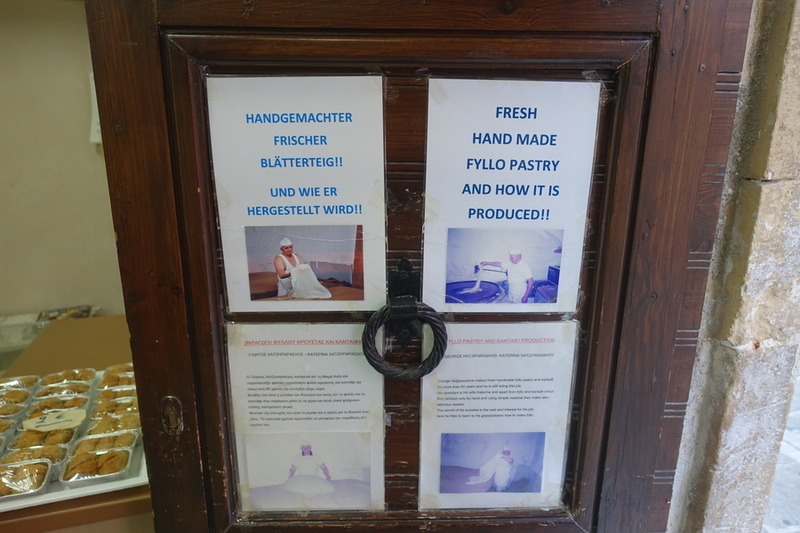 We were particularly drawn to make the trip to Rethymno because I'd read about Yiorgos Hatziparaskos, the name of a man and also his bakery. Yiorgos is one of the last traditional filo (what's used to make baklava) masters in Greece, and he still makes the superfine pastry by hand in his workshop. On the day we visited, we saw his wife at work, and bought a package of baklava to eat over the next couple of days. We ate outside at the nearby Agrimia Restaurant - good vegetarian options, a beautiful outdoor experience, and like nearly every Greek restaurant we ate at, free dessert! 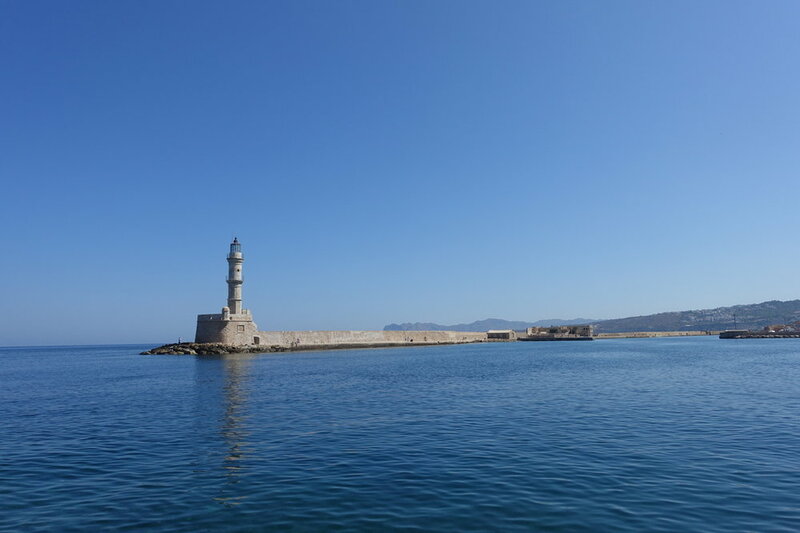 I wish we'd left more time to explore Rethymno, as it apparently also has an old harbor with a lighthouse like Chania does, plus a nice sandy beach and an attractive old town, but alas, we were there almost exclusively after dark and had a pretty long drive back to Kissamos. 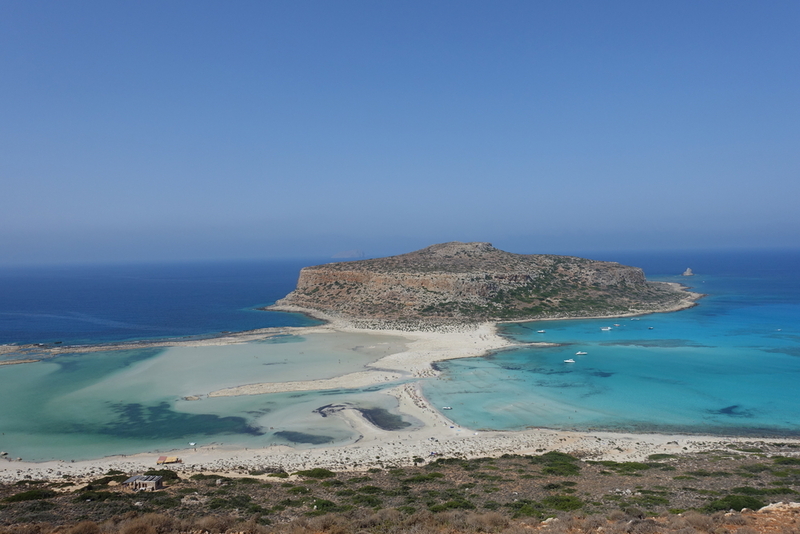 We spent our last day on Crete at Balos Beach, which is perhaps the most famous of all the island's beaches. It's not the easiest to get to, but it is for sure worth it, so stick with me here! We swam at the beach on the right side, although the ferry (the other way to come to Balos if you don't want to drive or don't have a private boat) docks on the left. 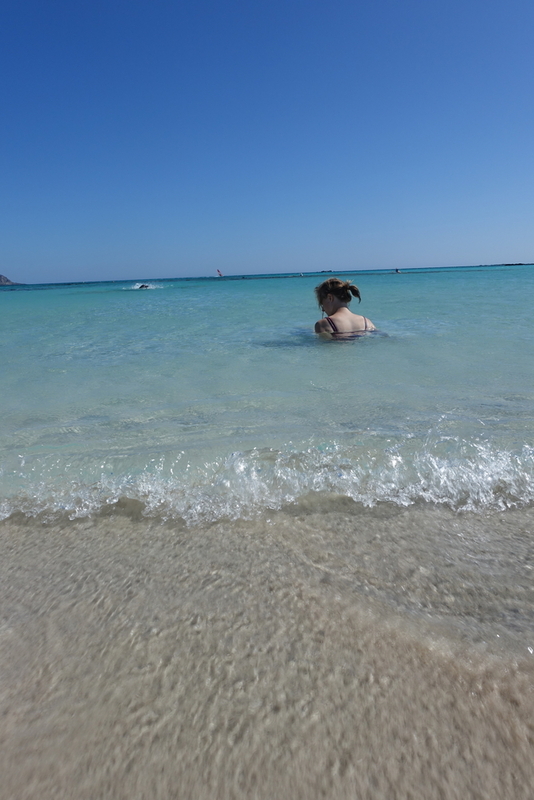 One of the best things about Balos is that the entry into the water is so gradual. We could walk out for 50 yards and still only be in up to our waists! It was fantastic. I never wanted to leave, but alas, we opted to leave on a high note, got one last meal at Maracaibo, and watched the sunset on the west coast of the island again. It was a cloudy evening, but we arrived in plenty of time, brought our towel and some magazines, and just hung out for a little while. Don't get any ideas that it was too romantic - we got our rental car stuck in the sand as we were trying to leave and the only reason we were able to get on our ferry the next morning was thanks to some friendly locals who called their friend to help tow us out! 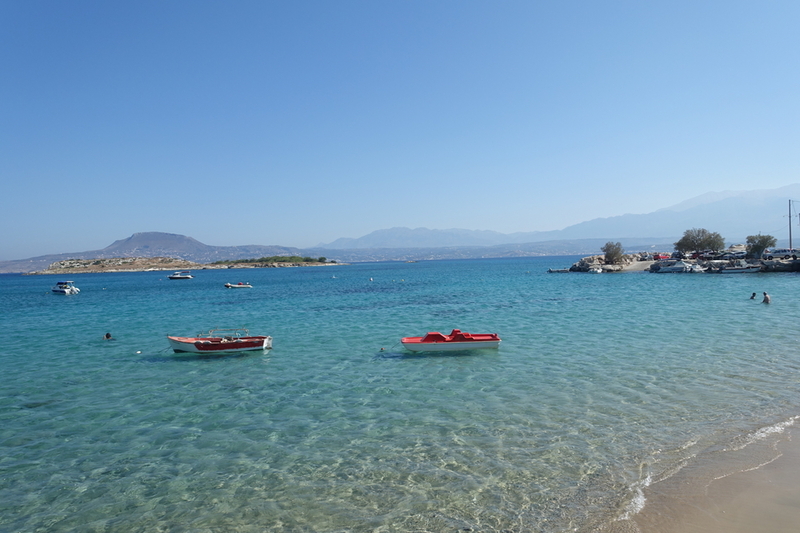 D - Balos: as far as I'm concerned, it might just be the absolute best beach on Crete. Crowded, sure, but for good reason! Do you see that view? That water? 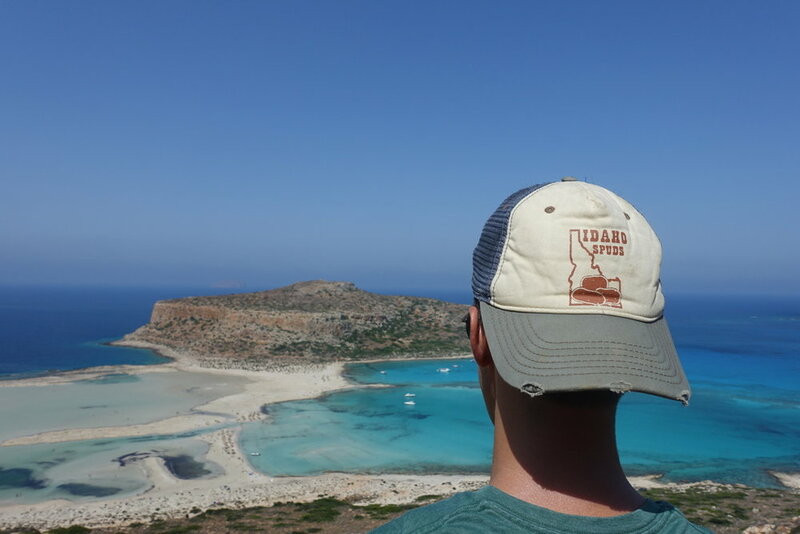 Crete has incredible beaches, and Balos might be king of them all. It's literally breathtaking when you first see the beach from the hike above. Bring your inhalers people!